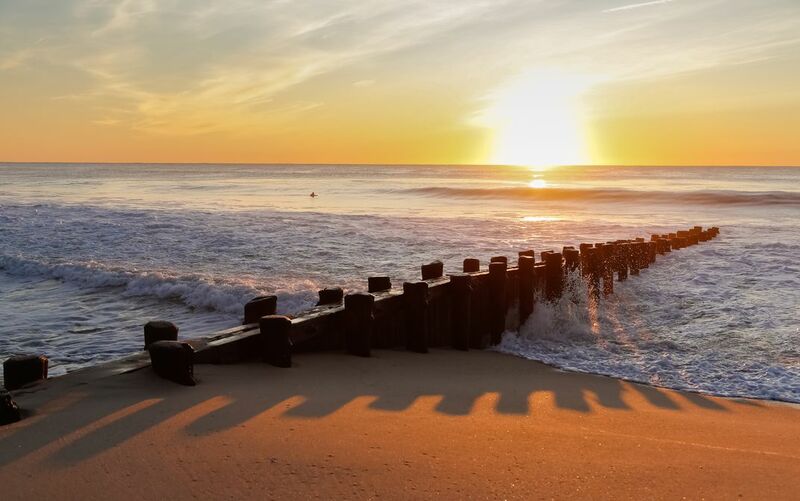 Sun rising over the Atlantic Ocean at Bay Head Beach, NJ. Winds from what had been Hurricane Irma was making it's way up to the east coast, and the surf was swirling more restlessly than usual. As the sun rose in the sky, the wooden jetty cast ever-lengthening shadows against the sand, seemingly reaching out for help. Date Uploaded: Nov. 11, 2017, 4:18 p.m.